Chilean Glacial Games Studio has released a mobile game called “Supertanker”, offering players to take part in extinguishing forest fires. The app appeared in the Google Play store in late January, install it on their gadgets a few hundred people. 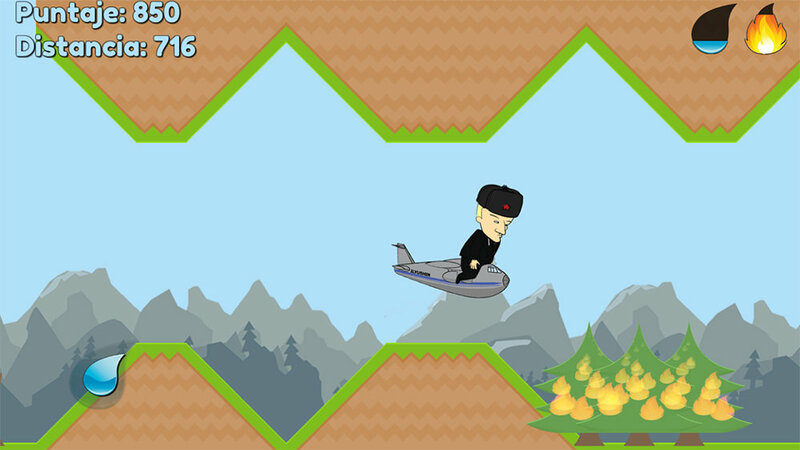 One of the characters that can control the aircraft fire, became the President of Russia Vladimir Putin. The developers of the game say that “any resemblance to real people is coincidental”. the Game, according to Glacial Games was created based on the events that took place in Chile in January. From the beginning of this year in the country do not stop forest fires that destroyed several settlements and killed over a dozen people. January 30 in Chile arrived the plane EMERCOM of Russia Il-76, which today, according to RIA Novosti, protected from fires five settlements. at the same time the Russian aircraft in extinguishing the fire involved the American “Supertanker”, in honor of which received the name of the game. Locals with a sense of humor to discuss the situation in social networks, comparing the characteristics of the two aircraft. Russian Ilyushin received among Chileans nickname El Luchin – in Russian language it can be roughly translated as “a little fighter”. Found a bug? Select the text with error and press Ctrl+Enter to tell us about it.